As Finland’s oldest city and the former capital, Turku is a great spot for exploring Finland. Beautiful River Aura runs through the historic area of Turku, all the way from the medieval Turku Castle to the main cathedral surrounded by cobblestone streets and yellow brick buildings. 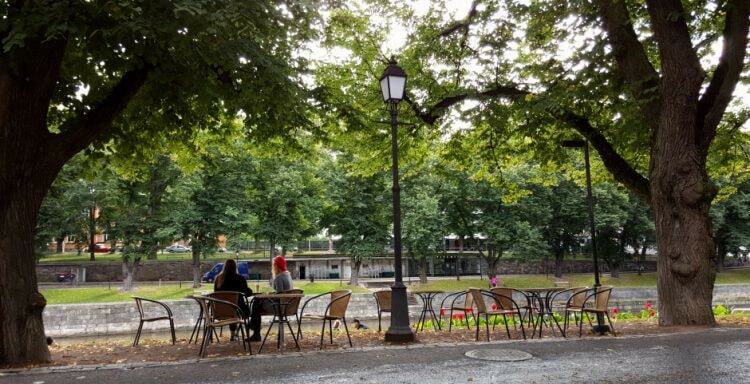 From steamship cruises and Scandi design, here are 10 of the best things to do in Turku, Finland’s medieval university city. Turku is a perfect place for pedaling. 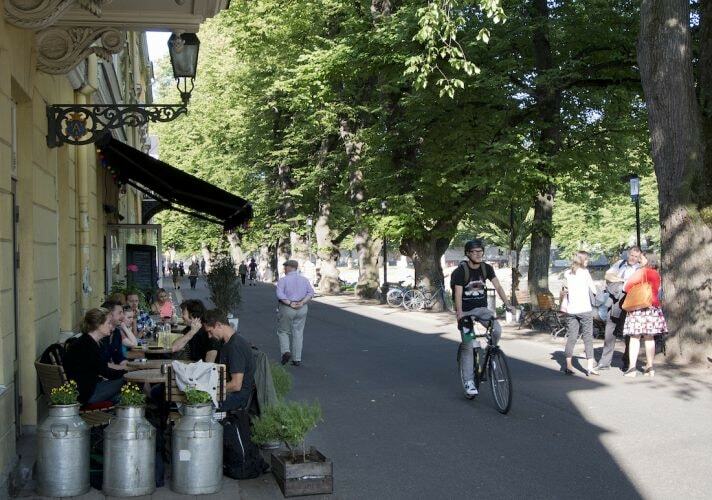 Rent a bike – and a helmet – from Turku’s Tourist Office and explore the city. Along Aura River, which runs through the historic part of Turku, there is a scenic cycling path regularly used by locals. Along this cycling path there are cafés, restaurants and museums, as well as Turku’s main cathedral, and even a medieval castle. 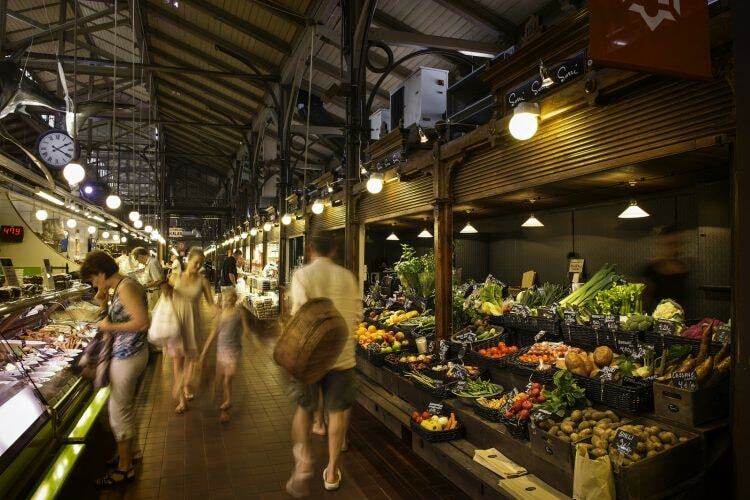 Turku Market Hall is a great way to explore Finnish and Scandinavian cuisine – or just to grab a quick bite! Opened in 1896, Turku Market Hall is the second oldest market hall in Finland. Markets and market halls are a big part of Finnish culture, and in the city centre Turku Market Hall, you can enjoy your traditional salmon soup with local rye bread in an authentic atmosphere. With dozens of stalls selling everything from meats and vegetables to sushi and cheese, there’s plenty to choose for everyone. 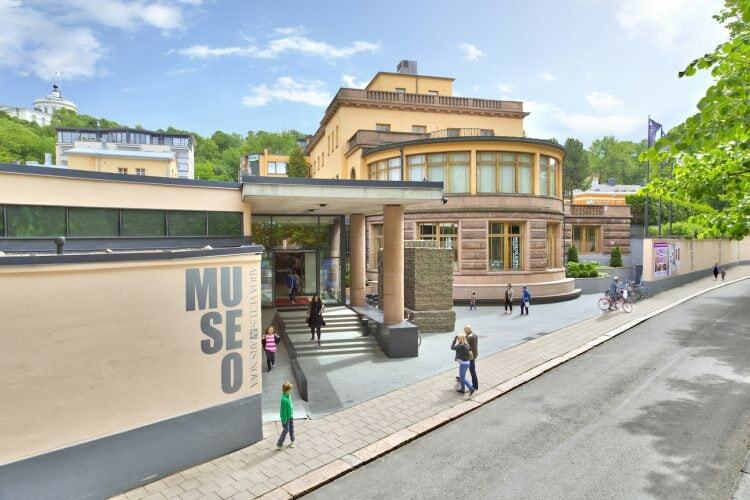 Aboa Vetus Ars Nova Museum showcases both medieval history of Turku and world class modern art. In the “Aboa Vetus” (that is, Old Turku) part, the exhibits include authentic ruins, and one of medieval Turku’s main streets still runs through the museum area! The Ars Nova part of the museum hosts modern art on two floors. Aboa Vetus Ars Nova is one of the Turku area’s most visited sights and conveniently located by the beautiful River Aura. In the 19th century, Turku was Finland’s biggest city. The Great Fire of Turku in 1827 caused massive destruction, and Luostarinmäki (Cloister Hill) was the only wooden house district to be spared from the flames. In Luostarinmäki, a visitor will experience a unique, artisanal atmosphere of olden times in a quaint location. The outdoor museum includes 18 blocks of original 18th- and 19th-century buildings. 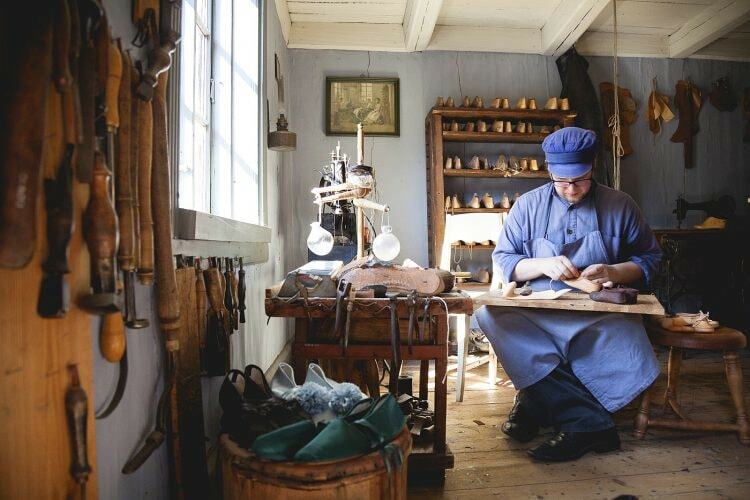 An intriguing glimpse of pre-industrial craftsmanship is brought to life at the Loustarinmäki Handicrafts Museum. The museum shop sells craftwork and sweets, and Café Kisälli offers a traditional Finnish delicatessen. The museum is located only a few blocks away from River Aura. Western Finland is renowned for its coastal beauty, so what better way to experience Turku area than to jump on board a steamship! 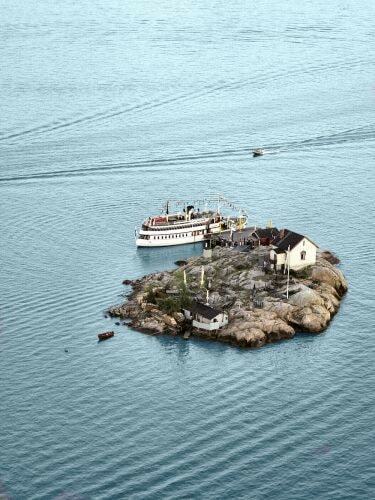 Ukkopekka was built in 1938 and it is the oldest steamship in Finland still in commercial use. Due to its honourable age, the ship has also served in the Second World War. As a thank-you for its long service, its interiors have been renovated and now passengers can enjoy meals and refreshments on board. Finnish writer Tove Jansson, renowned for creating the Moomins, and comedian Bill Murray are included in Ukkopekka’s long list of passengers. The ship sails from Turku to a nearby harbour town of Naantali. The Food Walk in Turku is a handy way to combine sightseeing and eating. Ten Turku restaurants participate in the Food Walk, and the Food Walk card allows you to eat in five different restaurants in any order you prefer. The card is valid for three days after purchasing and they can be bought from Turku Tourist Office or ordered online for 44 euros. The dishes included in the Food Walk vary from pintxos to burgers and from traditional Finnish fair to hipster cafés. 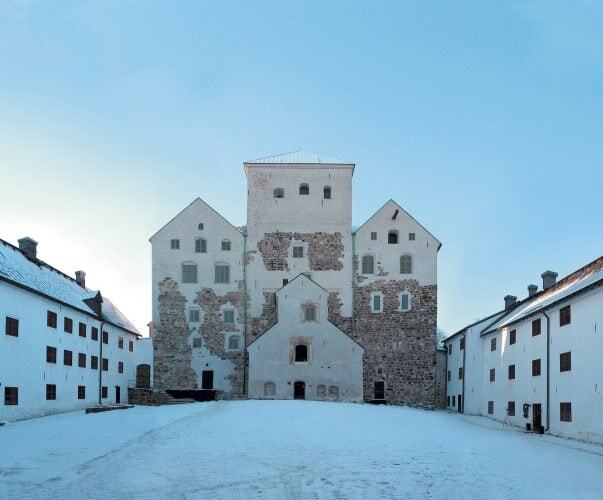 Turku Castle is a perfect pit-stop for modern-day princes and princesses. The castle, built in the 1280s, oozes Scandinavian history with its whitewashed walls and cobblestone corridors. The castle was constructed when Finland was still governed by Sweden, and many nobilities with their local armies have dwelled here. Now, there are dozens of great halls and small nooks to discover as well as exhibitions on the history of the castle and Turku itself. In the big courtyard, you’ll also find a coffee shop to rest your feet after the castle tour. 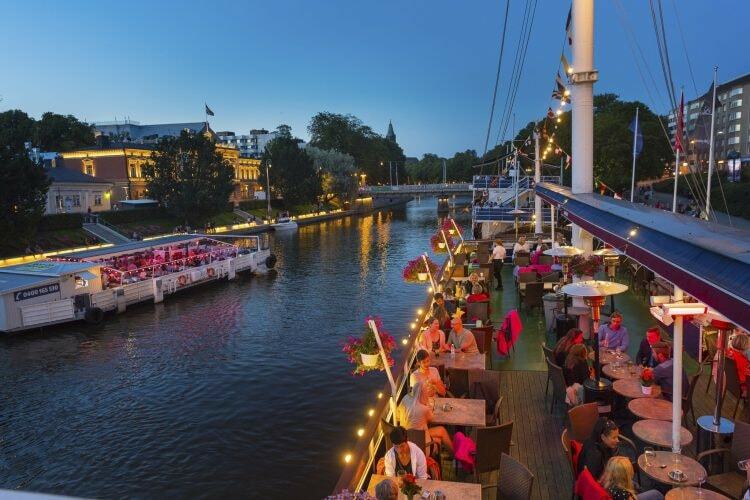 Turku, a lively and historic university city in Western Finland, is dominated by the presence of River Aura. Aura runs through the historic part of Turku, from all the way from a medieval Turku Castle, past cafés and restaurants, to Turku Cathedral. Many of Turku’s main museums and attractions are located along the river or in close proximity to it. The area is best discovered during summer months when the cafés and restaurants by the river spread their tables along the river banks. There is also a little ferry, called Föli, which crosses the river regularly and a handful of boats that function as restaurants and pubs, so nightlife in River Aura area is quite unique! 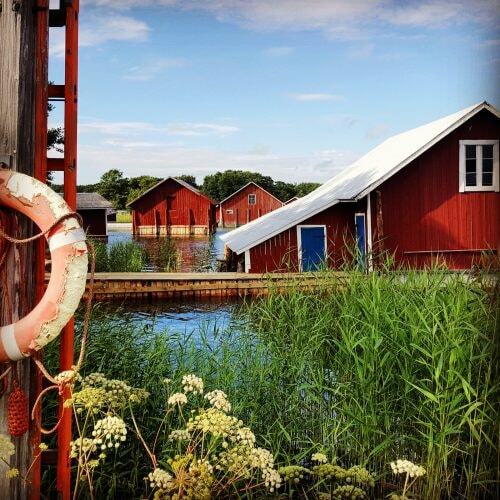 Turku Archipelago Trail is a popular attraction for both Finns and foreigners alike. The 250-kilometre trail can be done by car or a bicycle. The trail begins from Turku, where you can enjoy city life before setting to the remote islands. The islands themselves are a tranquil sanctuary of natural beauty and the calm Scandi lifestyle. Before setting out on your journey, be sure to check the ferry timetables between the islands. There are also many local tourist offices to assist you with the schedules. Discover Finnish design in the heart of Turku. 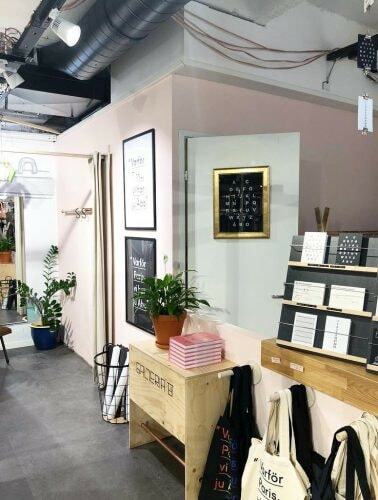 PUF Design Market showcases over 20 Finnish brands from newcomers to internationally renowned old-timers. Many of the brands are ecological, and each month PUF highlights a different fashion brand. PUF also organises fashions shows and concerts in its space. PUF is located just a few blocks away from Turku’s central Market Square.